begin to dig: How get strong if (part of) our muscles aren't actually on? How get strong if (part of) our muscles aren't actually on? Follow @mcphoo Tweet So that seems like a dumb question, doesn't it: how do we get strong if our muscles aren't actually on? After all, we work out; we get lots of reps in - we seem to get stronger, and then someone says about that plateau we're hitting "maybe the reason you're not getting that press is that you're weak." Excuse me? You talking to me? That happened to me today. As some of you know i'm trying to get the 24kg KB press - hence the wee recent chat with Dan John about pressing. But today, at the 9S strength and suppleness course, one of the components was getting some muscles checked to see if they were firing on demand. Eg, anterior delt. Pretty important in pressing. What did i learn? It wasn't staying on through a good part of the range of motion possible of that muscle. Let me clarify - part of the muscle wasn't staying on through the ROM. In my case, close up to the origin was having a hard time. Just part. Consequence? Sucky press progress. So we looked at ways to help a person (a) learn the range of motion of the muscle with respect to its action on a joint and (b) how to cue the person to get that part of that muscle to come on in that range of motion. Gotta tell you there were a lot of "Oh so that's what that muscle feels like when it's working" comments. The big deal here is that we're talking about parts of the whole muscle - not the big "my glute med isn't firing" but "this part of my glute med at this ROM is not firing." Why would we Care to get More Muscle going? So the potential to see the effect of motor unit shut down may be greater in the bigger muscles with fewer individual motor units per fiber. 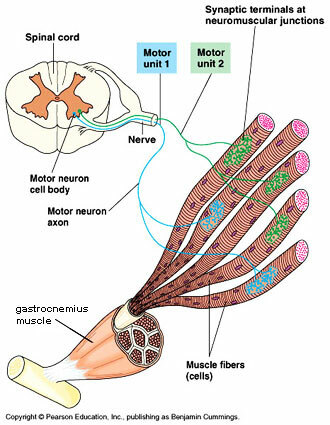 Main point: If a bunch of motor units are not being recruited, or they turn off part way through a motion, we get squishy bits or what feels like dead zones in the body of the muscle. Conversely, the more motor units firing, the more fibers get triggered, the more force can be produced, the more easily we lift - or the more load we lift and the smoother the lift that can keep the muscle on throughout the action. THis is likely a gross oversimplification that does not take into account recruitment patterns and wind speed etc, but it seems to work as a general model. Example I had the pleasure to work with a great guy and super coach, big guy too, muscle wise, who said that he had trouble with his squat - his DL overtook it completely. By comparison his shoulders are beautiful. So let's see if those massive delts may also be associated with sans squishy recruitment. WHen muscle testing his shoulders - the delts and the teres major in particular - everything was solid throughout the range of motion. No squishy bits (unlike mine). Wow. When we tested the quads it was quads be gone. They were just a sea of squishy bits. Wow. Now, obviously this guy could squat me on his back all day long no problem, so he's not "weak" in the 99lb sand kicked in his face kinda way. But it's plain that he could be stronger and faster if more of the muscle was willing to come on. Aside: Nervous System Perspective. Everything's connected. In many cases that weekend, we worked on muscles, helped folks get squishy bits to come on more fully, and tested that yup performance was going up. And in some cases pain was going down at the same time. With super coach's quads, we did not get so much action back in the legs. A bit of history revealed that super coach's biggest issue is plantar fascitis right now and that's his priority. It may be that in his case, his nervous system is not willing to pour more juice into his quads to let him go heavier if his base is in pain. Poor feet feeling, not so safe for adding greater load. Could be. So wisely super coach is focusing on what his bod is telling him to do. In other cases, helping one muscle to fire better, helped an entire system to opening up and got people to a whole new level of happy. Learning to feel what a muscle feels like - what it's role is in a movement is an interesting exercise. 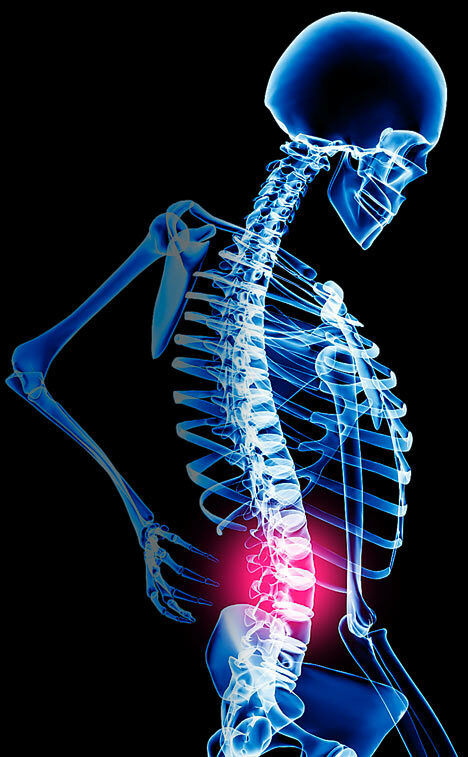 Here's where some kinesiology can help - by knowing what muscle is reponsible for what action in a movement, we can see if it's doing its job to support that movement. This approach to performance checking is another reason why we all need a knowledgeable coach. If progress is stalling it may be that it can be addressed more rapidly by a quick anatomy function check to see if something needs a little attention to be brought to it to come to the party than looking at 20 different lift variations to see if that's the ticket. It's not to say that those lift variations aren't key plateau busters, but for them to function optimally, it would be better for them to be situated on an optimally functioning base, no? Accelerate progress. A coach can cue our awareness of the muscle, it's ROM and check when it's coming off and help us practice attention to keep that part of a muscle on. 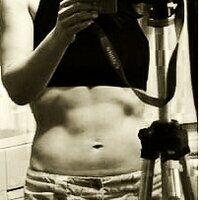 Muscle work like this, it seems to me, is tuning. It's not the single factor foundation thing in itself that will solve all ills or create training shortcuts. It's a refinement on top of good movement quality to begin with and *then* tuning the muscles within this quality foundation. It's polishing part of the global picture. But goodness what a big difference a little bit of polish, a little bit of tuning can make: the image is clearer; the music more harmonious - the effect more enlivening. Muscle tuning in this way therefore seems to make great sense as part of a whole package of coaching/tuning for performance and well being: start with cleaning up whole movement (i like z-health r-phase for this); then dial it in even more with a coach who can offer muscle tuning (and more - like working in the wonderful world of ligaments - no kidding - but that's for another time). Pelvis Power - working hip opening in the press. Interesting stuff (as per usual). I'm still making pressing gains, despite the issue. jura baby send me a note on where you live and i'll try to get you hooked up with someone who can check your rapid firing if you'd like. My opinion is that this is a good reason to do a variety of exercises instead of focusing on a few, no matter how good they are. Also yet another reason why free weights are better than machines, and why unilateral is better than bilateral. What do you think? Thanks for the kind offer! If I can't work it out for myself over the next six months, I'll definitely take up your offer, though! jura you know why wait? 6 months versus 2mins to have a better 6 months? pishaw! And besides, I am getting some improvement just by touching the muscle with my other hand and doing slow presses. "The shortest distance between two points is a straight line, but a river will get to the sea ... eventually"
I've found that when a person has trouble with a lift they often have even greater trouble with a static hold. Take the squat for example. Take the pins and set them to the height you suspect a problem. Get the bar sitting there, get under and set and lift a couple of centimetres and hold while trying to keep everything tight and still. Success? Add load. Then at a particular load the client often starts doing something that resembles the twist. The legs move around like crazy with the hips not able to stabilize them. Something is off at that point, turn it on and you can stabilize again.